After our artisans masterfully handcraft each lampworked bead in this millefiori Murano heart necklace, each heart is suspended from hundreds of tiny hand-strung seed beads. Our necklace features a glass heart pendant infused with colorful millefiori pieces and shimmering silver foil. 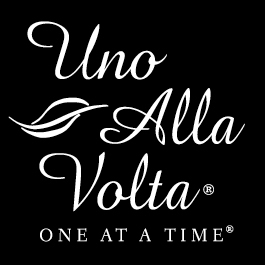 Each necklace is made from the hearts and hands of artisans, exclusively for Uno Alla Volta; no two will be exactly alike. Necklace measures 28 in. long with a 2 in. pendant and silver-plated findings, lobster clasp. In a partnership where love, creativity and cultural traditions intersect, Barcelona-born Cristina and her Venetian husband Pierluigi create this exquisite handcrafted jewelry in the rich European tradition. In their workshop near the Rialto Bridge, each bead is lampworked one at a time and accented with gleaming precious metals.